3 for 2 on Selected Stationery at Ryman - Revision Essentials! The first Ryman store appeared in London at Great Portland Street in 1893, and there is still a store there today. It was the first ever self-service stationery shop with sales in the first week of £50. Ryman has always been a leader in product innovation. The company was the first to introduce the concept of colour to filing systems! In recent years it has been at the forefront in offering the latest new technology products like specialist paper, ink cartridges and USB storage. The company also offers an extensive range of environmentally friendly own-brand cartridges with outstanding ink capacities. If you have a home office, or just enjoy buying top quality stationery for work or home, Ryman should be your go-to outlet in store or online. Online, there's a Special Offers section, where you’ll find cut-price items in a ‘Top 10 Best Seller’ list, or simply ‘shop all offers’. With free next day delivery on orders over £40, free Click and Collect and a simple returns policy - there are tonnes of reasons why shopping at Ryman makes sense when it comes to stationery. How do I use my Ryman discount code? Subscribe to the e-newsletter and get all the latest offers delivered directly to your inbox. Can I amend or cancel a Ryman order? You cannot amend an order once it has been submitted. To cancel an order, you must call the Customer Services Team: 0800 801 901 or email: queries@ryman.co.uk - including the order number and description of the product(s). Ryman Pulse is a community hub, where employees post blogs about interesting industry facts, stationery news and hints and tips for stationery junkies to read. Can I set up a business account with Ryman? Yes, Ryman offers accounts for business customers. Benefits include a 10% discount on sign-up, faster check-out and order tracking amongst other great features. Ryman offers a full refund if you return any unused items in a resalable condition (in original packaging) within 30 days of purchase. Ryman aim to process returns within 72 hours of receipt. Depending on your bank - be aware it can take between 3-5 days for the money to appear in your account. Opening times may vary from store to store around the UK, so we suggest you check the Store Finder to get the information about your closest store. Ryman is a prestigious stationery company with stores all over the UK. Why not grab a Ryman discount code and get shopping for all sorts of great bargains on items like printer ink, scanners, shredders and everyday office supplies? Ryman has a big presence online too, where you’ll find 5,500 products available from refills for your stapler to audio docking stations and computer cleaning products. 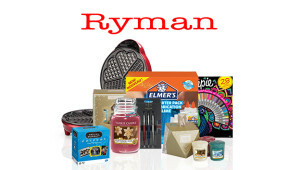 Ryman should be on your radar if you order the office stationery and love a good bargain! Ryman has a long history in the stationery industry - it's been around since 1893, and to honour this long-standing history, Ryman provide a fun downloadable ‘Dictionary of Stationary’ on the website, which is perfect for all you stationery nerds out there. So, next time you want to impress your colleagues in the staff room, get clued up on ferrules, deckles and chads and before you know it, you’ll all be stationery history pros. If you like your office equipment to be bang up-to-date and technologically sophisticated, you should head to the Electricals & Technology section of the Ryman website. A Ryman voucher code will help you make savings on gadgets like Acer Tablets, computer software, camera accessories and shredders. If you’ve just launched a new business venture, why not choose Ryman to kit out your office with hi-tech devices to suit your exact needs without breaking the bank.